As cooler weather starts to roll around, new parents or those that have recently relocated to a more wintry climate often find themselves struggling to determine the best methods for dressing their youngsters in weather-appropriate attire. While opinions on the subject can be quite varied on the topic, there are a few truths that parents forced with their first real winter weather should consider before the chill sets in. Frigid weather can send even the most laid-back parent into overdrive, but it’s important to remember that kids are usually only outside for brief stretches throughout the day. As such, it’s best to dress them in layers that are easily shed in warm classrooms and stores, rather than one or two very bulky items that leave them sweating. For younger kids that attend daycare or elementary school, it’s also wise to attach labels to coats, gloves and hats. It’s easy for cold-weather items to get misplaced, sent home with the wrong child or left behind when little ones are in a rush at the end of the day, but replacing them can also become quite expensive very quickly. Scarves are a winter-weather staple, but they may also be less than safe for younger children, as they can easily be snagged, slammed in a door or stepped on to present a strangulation hazard. Rather than protecting your little one’s face and neck from icy winds with a standard scarf, it may be better to opt for cowl styles or neck warmers, which have no trailing ends to put him in danger when he’s out of your sight. There’s a difference between cold, snowy weather and just plain cold. During periods of snowfall, your child will need to be protected from the dampness of melting snow as well as frosty temperatures, while the drier cold of a day with no winter precipitation may require stronger wind protection to prevent chapping and windburn. 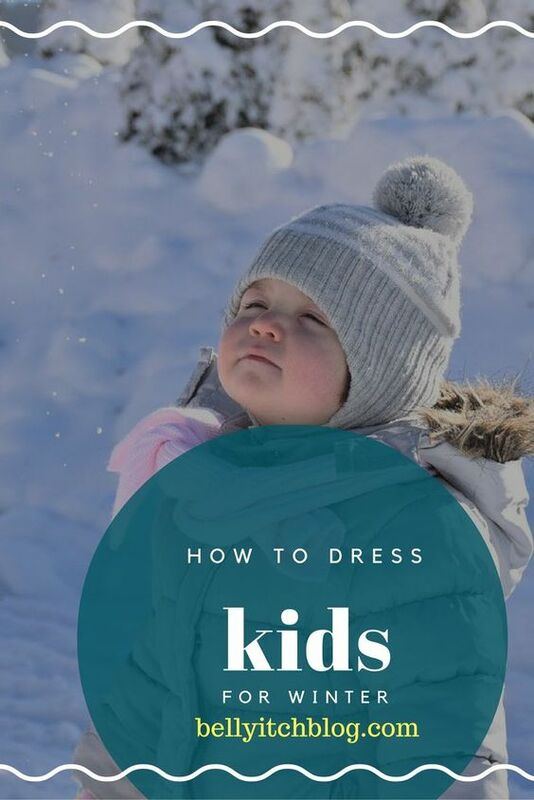 Familiarizing yourself with the various articles of winter clothing and their best uses while keeping an eye on the weather forecast is the best way to ensure that your little one is dressed appropriately for every winter occasion. When the thermometer mercury edges just slightly past 32º, all of the accumulated ice and snow becomes a series of very cold puddles along walkways and across parking lots. Protecting your child from the dampness that can accompany walking across those puddles and dripping from overhanging surfaces is important, but it’s also very difficult if his winter gear isn’t waterproof or, at the very lease, water-resistant. It may be cheaper at the outside to spring for a lower-priced jacket that doesn’t have waterproof construction, well-made products that repel water will keep him warm and dry throughout the winter season. At first glance, most boots are created equal. Upon closer examination, you’ll learn that some boots are more suited to cold temperatures that others. While galoshes seem to be a good choice, due to their waterproof exteriors, they offer absolutely no insulation from cold and can be easily filled with snow if it’s high enough to fall over the wide openings at your child’s calf. Honest-to-goodness snow boots, on the other hand, will have both inner insulation and a top that prevents snow from falling inside. Though the old adage about your body heat escaping through your head is little more than an old wive’s tale, it is still important to keep your child’s head warm and protected from chapping winds, falling sleet or snow, and simple low temperatures. Look for those without drawstrings that can present a strangulation hazard, with waterproof liners and a snug enough fit to block most of the wind’s chilling power. While you’re fighting the battle against winter’s chill, don’t forget the sunscreen. Though it seems incongruous to slather your little one with the same sunscreen he uses on the beach to go outside for a snowman-building session, it’s actually an integral part of protecting his skin. Snow reflects up to 75% of ultraviolet rays, which can still be damaging even at winter’s low temperatures.